Handmade Treasures. Make your gift special. Make it Handmade. Luna - a present for a friend. Click on 'Older Posts' at bottom of page for more items. Custom, one of a kind, orders. Wholesale pricing on minimum order of 5 items. 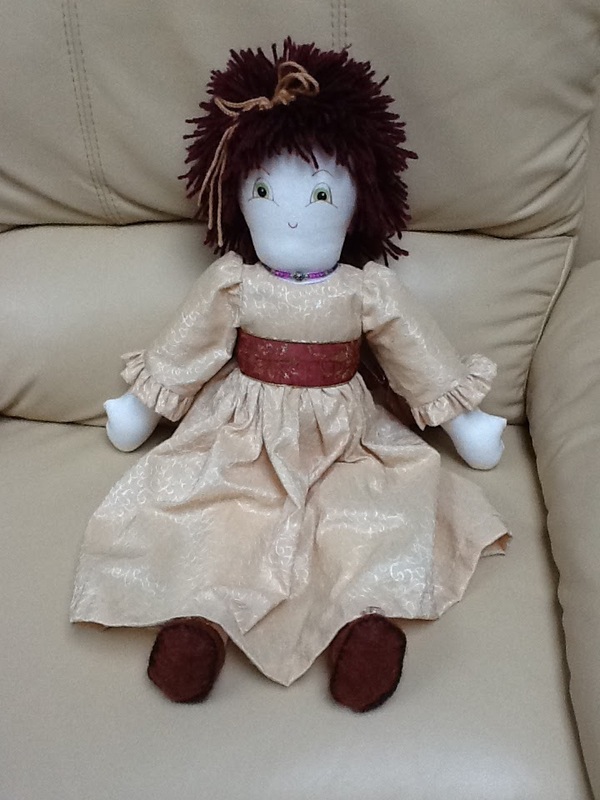 Entirely handmade 'collectable' cloth doll. Embroidered face, suede and dupioni silk clothes. 18" tall. Get your doll handmade especially for you. Beautiful dragonfly cushion. Taffeta front; feather insert. Happiness is a handmade hand puppet, complete with fleece overalls and hand-felted face. 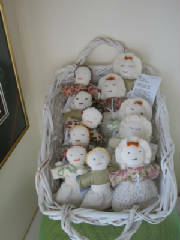 A basket of Baby Dolls, entirely handmade with period clothing, and adorned with crocheted hair and bonnet.